I’ve been eating lentils my whole life. Back growing up a daughter of artists, there wasn’t much money to waste, so we ate a lot of beans and legumes. I guess old habits die hard – but I’m glad, because whenever I make lentils, I think of my family! 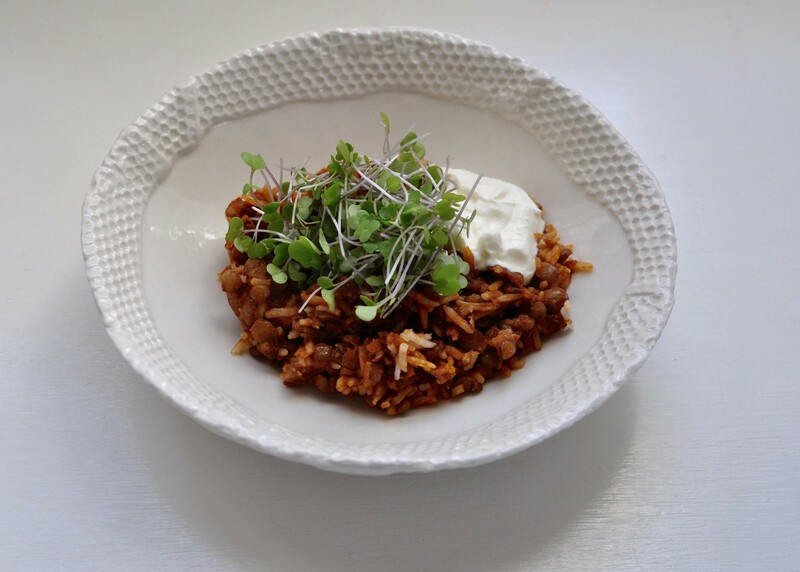 My boys love this recipe, even though it’s pretty spicy with the chorizo and curry. Didn’t know chorizo would pair well with curry, did you? Soak lentils in the morning before cooking if you want to reduce cooking time. Melt 1 Tbsp butter in large cooking pot, then brown chorizo on all sides. Remove chorizo with a slotted spoon and set aside. Sauté onion in pan drippings until soft, about 5 minutes, stirring as you go. Add curry powder and a dash of salt, then stir before adding drained lentils. Stir again, then add 2 cups chicken broth. Cover tightly and cook for about an hour, or until lentils are tender. Add tomato sauce and chorizo, and continue cooking 30 minutes or so, adding water or broth if the stew starts to lose its liquid. 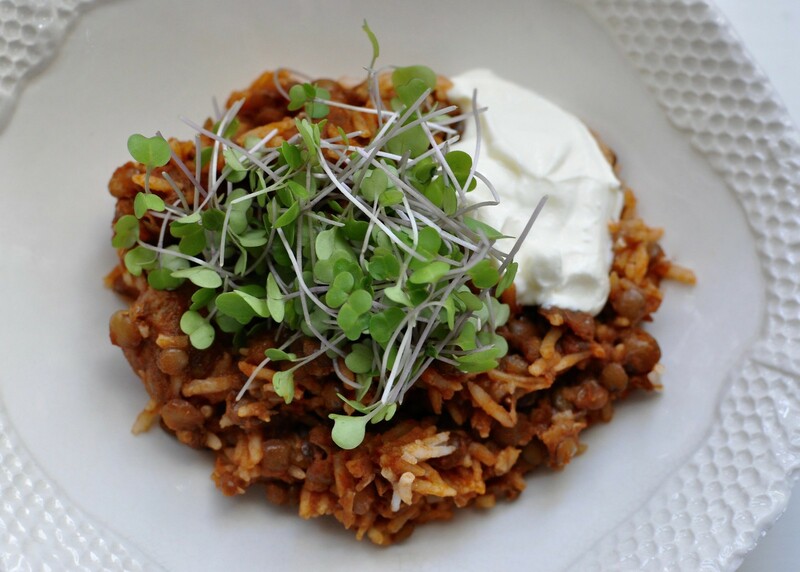 Serve warm over basmati rice with microgreens and sour cream or plain yogurt (and/or sharp cheddar cheese). Enjoy! Looks super good! Will definitely try this one.